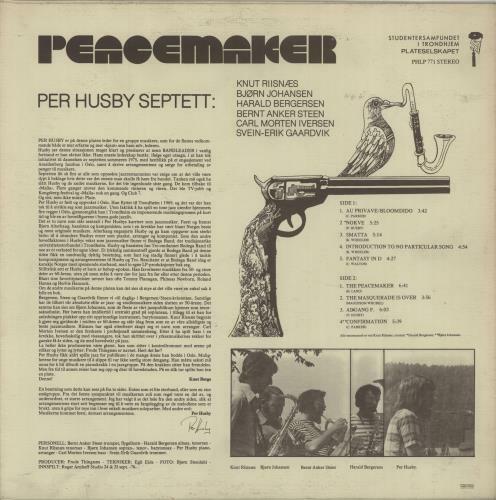 PER HUSBY SEPTETT Peacemaker (Rare 1977 Norwegian-only 9-track LP, a beautiful Euro jazz winner released in very limited numbers by the student society in Trondheim, Norway. Comes housed in a wonderful looking, unique & fully textured picturesleeve. The title piece is a deep, reflective modal number in the Miles tradition & 'Adgang F.' is THE standout Jazz-Dance tune. 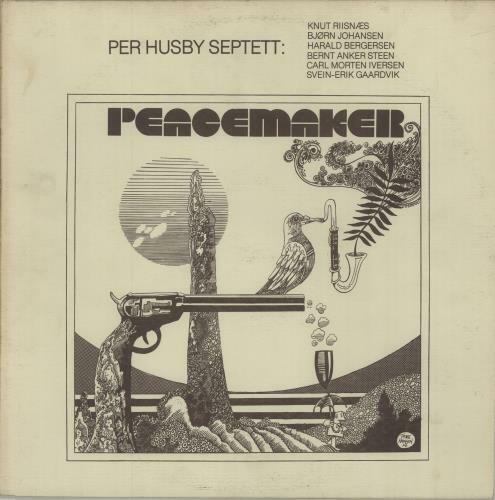 There was a limited CD re-release of this album years ago but with inferior artwork. The sound quality was no match for the original vinyl release either! This example originates from the private collection of a former staff member for Dobells record shop in Charing Cross. The sleeve is Excellent with just the lightest spot of discolouring around the edge & the vinyl is super clean & grades Excellent, with only a few mild paper hairlines not affecting play. 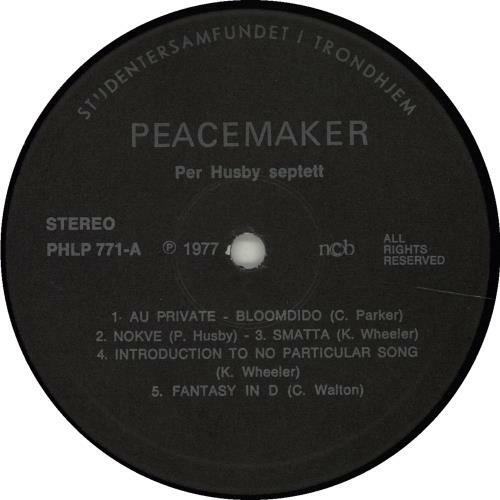 Recommended PHLP771).